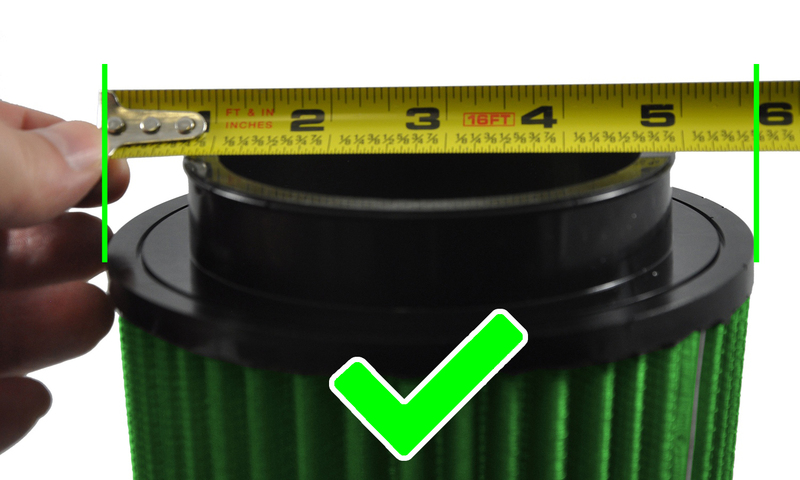 If you are looking to add a Green High Performance Air Filter to a custom project, measuring properly is an important step in determining the correct filter to fit your application. 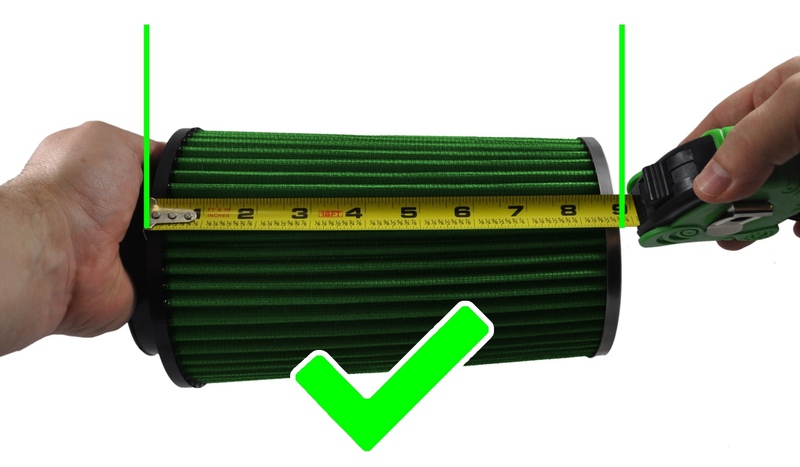 Following the steps below will help to ensure you select the correct filter. 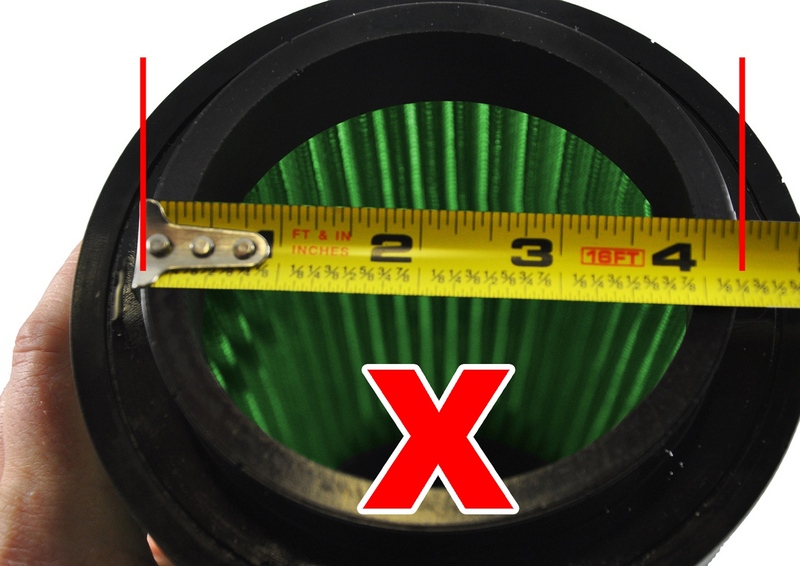 Measuring the Inside Diameter (ID) - Make sure to measure across the inside opening of the filter and NOT from the outsides of the flange. 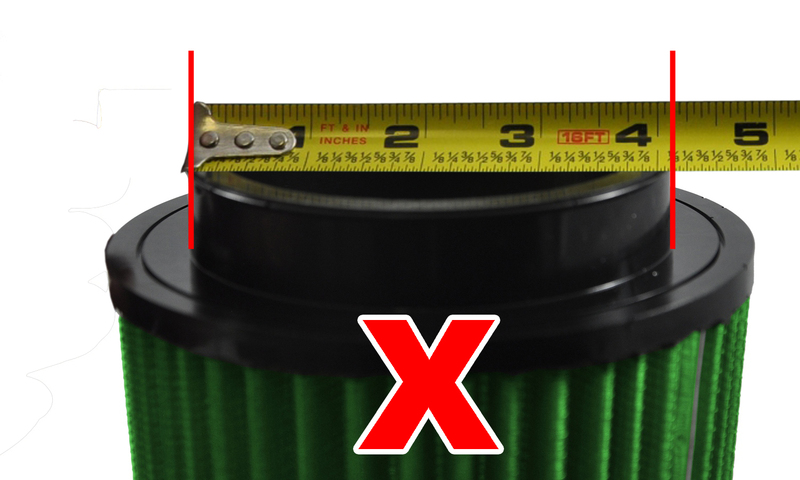 Measuring the Outside Diameter - Top (OD-T) - Measure across the widest part of the top of the filter from the outside edges. 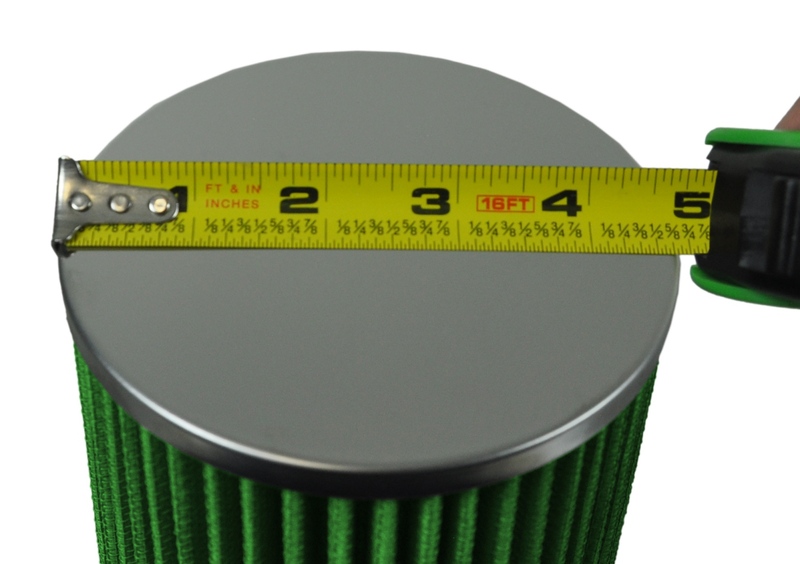 Measuring the Outside Diameter - Base (OD-B) - Measure across the base of the filter. 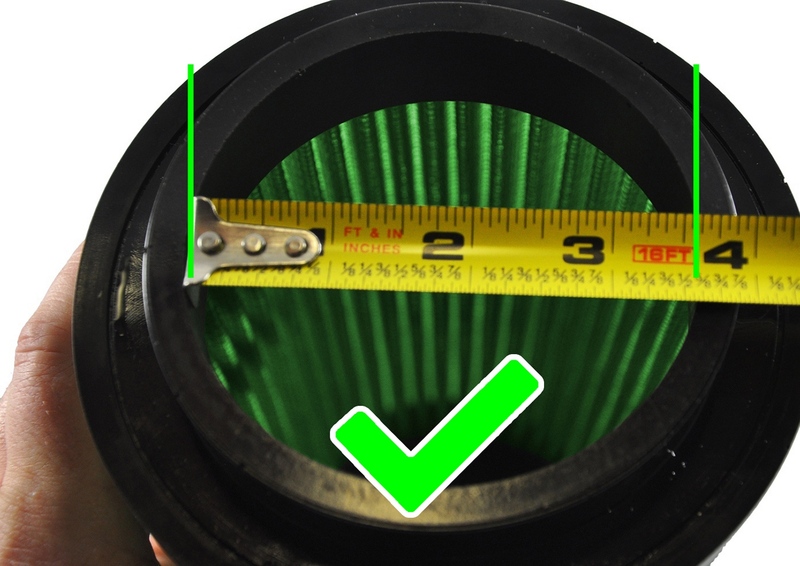 Since the filter's flange will likely be in the way you will need to measure across the top of the flange to get the dimension. 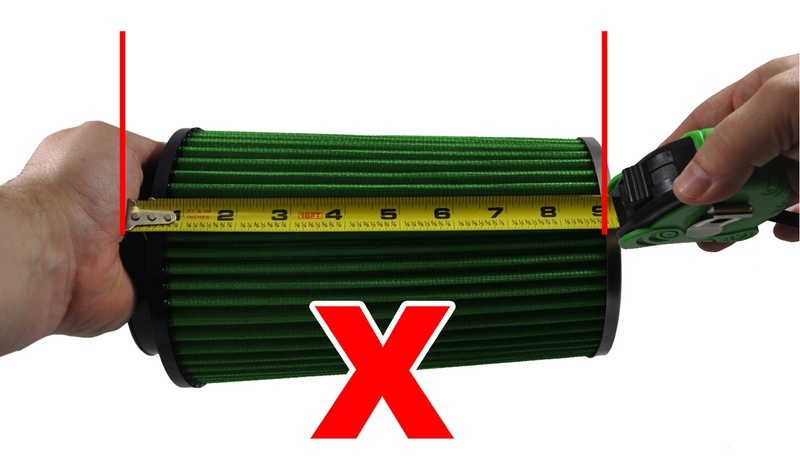 Measuring the Height (H) - Measure from the base of the filter (not the flange) to the top of the filter, including the filter end cap.